David Martyn Lloyd-Jones went home to be with Christ 29 years ago today. Few men have had more influence on me through their sermons and books than Lloyd-Jones. Several years ago, I wrote my tribute to Lloyd-Jones in an essay (below) that was published first by Heartcry: A Journal on Revival and Spiritual Awakening and then by The Banner of Truth Magazine. I owe a great debt to a man I have never met - the late D. Martyn Lloyd-Jones, former minister of Westminster Chapel in London. I grew up seeing his books on the shelves of my father’s library, but it was not until 1997 that I discovered the richness of Lloyd-Jones for myself. I read five books by Lloyd-Jones that year, and continue to read his writings to this day. I will never forget the pure spiritual delight I experienced in reading Lloyd-Jones’ exposition of the Apostle Paul’s prayer in Ephesians 3:14-21, followed by his insightful book, Joy Unspeakable . The Lord used this Welsh preacher to unveil for me a depth of communion with Christ and fullness of the Spirit that was scarcely conceivable. I feasted on Paul's prayer and the Doctor's sermons for months and remember those days as some of the sweetest in my walk with Christ. As I began preaching and entered the ministry, I also found great benefit in Lloyd-Jones' excellent book Preaching and Preachers , which I have read over and over again. And the two-volume biography by Iain Murray has provided hours of edification and instruction, inspiring within me a deep longing for a Spirit-blessed ministry such as “the Doctor”, as he was affectionately called, enjoyed. Few sermons have been as heart-searching and convicting as those of Lloyd-Jones on the Sermon on the Mount. And no one was of greater help to me in navigating through a stormy controversy regarding the basis of fellowship with other believers than this great man of God. I feel constrained, therefore, to pay tribute to this man and publicly thank God for him. This article is an attempt to do that with the hope that a consideration of the spiritual legacy Martyn Lloyd-Jones left behind will inspire others to read him also. David Martyn Lloyd-Jones was born in Wales in 1899. Though reared in the Welsh Calvinistic Methodist Church, Martyn did not hear the gospel or become a Christian until he reached his twenties. Being a very intelligent and disciplined young man, Martyn pursued a career in medicine, receiving his training at St. Bartholomew's Hospital in London. Martyn became the assistant to Lord Horder, the physician of the Royal Family, and was well on his way to a prestigious career, when God broke in on his life. Martyn was born again in the mid-1920's and “old things passed away and, behold, all things became new” (II Cor. 5:17). He became consumed with a passion to know and serve Christ. It was not long before he entered the ministry. People did not understand. They wondered why he would give up such a good and helpful vocation as medicine in order to preach. His answer was profound: “We [physicians] spend most of our time rendering people fit to go back to their sin . . . I saw that I was helping these men to sin and I decided that I would do no more of it. I want to heal souls. If a man has a diseased body and his soul is all right, he is all right to the end; but a man with a healthy body and a diseased soul is all right for sixty years or so and then he has to face an eternity of hell” (Quoted in Iain H. Murray, D. Martyn Lloyd-Jones: The First Forty Years: 1899-1939 , Edinburgh: Banner of Truth Trust, 1982, p. 80). The ministry of Martyn Lloyd-Jones can be divided into three eras. From 1927 to 1938, he pastored a Welsh Calvinistic Methodist congregation in Aberavon, Wales. These were formative years in Lloyd-Jones' life, as he devoted himself to the study of the Scriptures and the preaching of the gospel. The record of his ministry in Aberavon is a romance in the truest sense of the word. God sent revival to that little village and the stories of the many conversions are heart-thrilling. Many of the stories were told by Martyn's wife, Bethan, in a little book called Memories of Sandfields . Sometime in the mid-1930's, the famous, but aging, preacher G. Campbell Morgan, pastor of Westminster Chapel in London, heard Lloyd-Jones preach. Morgan quickly became convinced that the young Welshman should become his assistant, and eventually his successor, at Westminster. Lloyd-Jones was officially installed as Campbell Morgan's assistant in 1939 on the eve of World War II. He would stay there for some thirty years, exercising one of the most fruitful ministries of the twentieth century. His influence reached around the world. He retired from the pastorate in 1968 to give the last twelve years of his life to preparing his many years of expository sermons for publication. What a legacy he left! That legacy can be seen in five things which he achieved in the Lord’s strength. 1. Lloyd-Jones restored to the pulpit Spirit-anointed expository preaching. In an era when expository preaching was considered an outdated mode of communication and the Bible was considered an irrelevant book, Martyn Lloyd-Jones restored to the pulpit expository preaching of Scripture. His style was deliberately analytical and exegetical and he avoided humor and anecdotes. His focus was on explaining and applying the text of Holy Scripture. During his thirty years at Westminster, he preached through Philippians, I John, The Sermon on the Mount, Ephesians, and significant sections of the Gospel of John and The Acts of the Apostles. The number of sermons Lloyd-Jones preached on these New Testament books is mind-staggering. His magnum-opus was, without a doubt, his exposition of Paul's Epistle to the Romans (which, incidentally, he did not finish, being interrupted by illness after reaching Romans 14:7), totaling some 372 sermons and spanning twelve years! But even more amazing is the fact that his hearers remained enthralled with such preaching. What was it about the Doctor's sermons which so gripped people that they would keep coming year after year? Martyn Lloyd-Jones viewed “the work of preaching [as] the highest and the greatest and most glorious calling to which anyone can ever be called,” and seemed never to get over the fact that God had called him to be an ambassador for Christ, a herald of the gospel. This calling, in Lloyd-Jones' mind, involved not merely giving a running commentary on Scripture, but delivering a message of particular relevance to a particular group of people from God Himself. There was an urgency about his preaching that captivated those who heard. His preaching was theological and doctrinal, but he delivered truth with such passion, that men and women were persuaded to listen. “What is preaching?” he asked. “Logic on fire! Eloquent reason! . . . Preaching is theology coming through a man who is on fire” (Quoted in First Forty Years , p. 97). And if asked where that fire came from, Lloyd-Jones would have said “the Spirit of God.” He believed in and experienced the anointing of the Spirit in his preaching and viewed it as the most essential element to true preaching. Like Paul, he sought to speak not with the wisdom of men, but “in demonstration of the Spirit and of power, that [his hearer's] faith might not rest in the wisdom of men but in the power of God” (I Cor. 2:4-5). J. I. Packer, who, as a twenty-two year old student, first heard Lloyd-Jones preach in 1948, said that the Doctor's preaching came to him “with the force of electric shock, bringing to at least one of his listeners more of a sense of God than any other man” (Quoted by John Piper, “Martyn Lloyd-Jones: A Passion for Christ-Exalting Power,” Minneapolis, MN: Bethlehem Conference for Pastors, January 30, 1991). What but that, bringing to one's listeners “a sense of God,” could better describe the true aim of preaching? Lloyd-Jones made this his aim, with the conviction that God makes His presence known when His Word is preached in the power of the Spirit. 2. Lloyd-Jones heralded boldly the theology of the Reformation, the Puritans, and the Evangelical Great Awakenings. As mentioned above, the preaching of Lloyd-Jones was characteristically theological. And the theology which Lloyd-Jones boldly proclaimed was the theology of the Reformers, such as John Calvin and Martin Luther, the Puritans, such as Thomas Goodwin, John Bunyan, and John Owen, and the Evangelists of the eighteenth-century Great Awakenings, his favorites being George Whitefield, Howell Harris, and Daniel Rowlands. Lloyd-Jones heralded the doctrines of grace to a religious world that was steeped in liberalism on the one hand and Arminianism on the other. He was unabashed in his proclamation of the doctrine of election and God's sovereignty in salvation. Yet, Lloyd-Jones' understanding of the doctrines of grace was not restricted to the Synod of Dort's TULIP, nor did he ever veer into the errors of hyper-Calvinism. In fact, in a lecture on “The Responsibility of Evangelism,” he sternly warned against the “abomination” of hyper-Calvinism and exposed the danger of allowing one's self to become tied to a theological system. Martyn Lloyd-Jones strived to be true to the Scriptures, not a system, seeking always to balance the truth of God's sovereign election with the truth of man's personal responsibility to repent from sin and believe the gospel. He defended without equivocation the “free offer of the gospel,” and was himself an evangelist at heart. His wife, Bethan, once said: “No one will ever understand my husband until they realize that he is first of all a man of prayer and then an evangelist” (Quoted in Iain H. Murray, D. Martyn Lloyd-Jones: The Fight of Faith: 1939-1981 , Edinburgh: Banner of Truth Trust, 1990, blurb on dust jacket). The doctrines most emphasized by Lloyd-Jones were the sinfulness and helplessness of fallen man, the holiness, majesty, and sovereignty of a glorious God, the substitutionary atonement of the God-man, Jesus Christ, the necessity of being born of the Spirit, and finally, the great “watchword of the Reformation,” justification by faith alone. These doctrines comprised Martyn Lloyd-Jones' understanding of the gospel. 3. Lloyd-Jones fostered within believers a hunger and thirst for genuine heaven-sent revival. Martyn Lloyd-Jones was deeply concerned about the spiritual state of the church at large. He frequently commented on the lethargy concerning the things of God, the moral decay in society, and the impotency of the Church in evangelism. The only solution to this problem, in Lloyd-Jones' view, was a fresh outpouring of the Spirit of God in revival. By “revival,” Martyn Lloyd-Jones did not mean an evangelistic campaign or a revival crusade. In his estimation, “revival [was] a miracle ... something that can only be explained as the direct ... intervention of God.” “Men can produce evangelistic campaigns,” he said, “but they cannot and never have produced a revival” (D. Martyn Lloyd-Jones, Revival, Wheaton, IL: Crossway Books, 1987, p. 111-112). The results of such a divine intervention would be many. Believers would gain a deeper assurance of salvation, which would lead to fuller experiences of joy. Greater power and boldness in witness would follow and the message of the gospel would be authenticated by the power of the Spirit. This would lead to the conviction and conversion of others. This was the crying need of the hour, and it was the true passion of Lloyd-Jones' heart. This passion infected others. Stories of the Holy Spirit's work are sprinkled throughout the Doctor's sermons, and I can personally attest to the hunger those sermons fostered in my heart. The dynamic of the preached (as opposed to written) word would only have intensified this. And preach on revival, he did. Revival and “baptism with the Spirit,” which Lloyd-Jones equated with revival, were regular themes in his ministry. He preached twenty-six sermons on revival in 1959 in remembrance of the 1859 Welsh Revival. In 1964-65, while preaching through the Gospel of John (a series never completed), Lloyd-Jones delivered twenty-four sermons on “he that baptizeth with the Holy Ghost” in his exposition of John 1:26-33. Revival was also emphasized in his expositions of passages in both Ephesians and Romans that dealt with various aspects of the ministry of the Holy Spirit. We could rightly question the accuracy of the Doctor's exegesis in some of these passages, but surely we can forgive his lack of technical precision, knowing the passion for revival which motivated him. 4. Lloyd-Jones inspired an interest in historic Evangelical literature. The yearning for revival which so characterized Lloyd-Jones' life and ministry was kept alive by his continual immersion in historic Evangelical literature. He discovered the two volume 1834 edition of The Works of Jonathan Edwards in a second hand bookshop early in his ministry, and in his own words “devoured [them] and literally just read and read them. It is certainly true that they helped me more than anything else” (Quoted in First Forty Years, p. 254). He would feast on such books throughout his ministry, reading the writings of Richard Sibbes, John Owen, and Thomas Goodwin, as well as volume after volume of biography and church history. This, no doubt, accounts for why Lloyd-Jones became so involved in promoting such literature to others. His sermons are full of illustrations from church history and quotations from the Puritans. He also lectured regularly on historic themes in the annual Puritan Conference, which began in 1950 and was replaced by the Westminster Conference in 1971. These lectures, which are amazing in both their scope of reference and practicality, are now published in the volume entitled The Puritans: Their Origins and Successors. But even more importantly, Martyn Lloyd-Jones was instrumental in founding two institutions which made such literature available to others. In 1945, he helped establish The Evangelical Library, which became a treasure trove of historic Christian books, housing over 20,000 volumes. In 1957, The Banner of Truth Trust was formed, an institution devoted to reprinting books in the historic Reformed tradition. Banner of Truth has now served the Christian community for forty-five years, publishing hundreds of titles and distributing thousands of books around the world. The writings of Calvin, Owen, Bunyan, Manton, Goodwin, Charnock, Edwards, Whitefield, Spurgeon, Ryle, and many others have been made available to our generation. And this is due, in part, to Martyn Lloyd-Jones. 5. Lloyd-Jones labored and battled for true Evangelical unity. In Paul's Second Epistle to Timothy, the life of a preacher is typified by the soldier (II Tim. 2:3-4) and the farmer (v. 6), thus involving both the hardship of battle and the strain of toil. Martyn Lloyd-Jones experienced both. Though not a negative person by nature, he was, nevertheless, continually engaged in fighting for truth. His ministry was marked by balance. He was always fighting extremes on both the left and the right, struggling to maintain the narrow middle course of biblical truth. And perhaps the most critical controversy in which the Doctor was ever engaged, involved the issue of Christian unity. The 1960's were times of change in both culture and church. Among professing Christians world-wide, there was an increasing interest in achieving ecumenical unity. Doctrine was being decried, and even many Evangelicals were agreeing to speak from the same platform with Roman Catholics, who rejected the doctrine of sola fide (justification by faith alone) and liberal Protestants, who denied Christian supernaturalism, the inerrancy of Scripture and the deity of Jesus Christ. The beliefs which defined one as being Christian were minimized, if not lost; doctrine was being sacrificed on the altar of unity. Lloyd-Jones was grieved at this situation and feared that the gospel would be increasingly more and more eclipsed in future years. In 1966, at the Evangelical Alliance Assembly of Evangelicals in London, the Doctor called for true Evangelical unity, that is, unity around the euangelion, the gospel itself. He believed that there was a set of certain core doctrines, belief in which was absolutely essential in defining who was a Christian. “What is this true doctrine?” he asked. “Our view of the Scriptures as the infallible Word of God; our assertion of the unique deity of the Lord Jesus Christ - yes, His virgin birth; the miraculous and supernatural; His atoning, sacrificial, substitutionary death; His literal, physical resurrection; the person of the Holy Spirit and His work. These are the doctrines which are essential to salvation; there is the truth that is to be preached, the message which is the first of the true marks of the church” (D. Martyn Lloyd-Jones, Knowing the Times: Addresses Delivered on Various Occasions 1942-1977, Edinburgh: Banner of Truth Trust, 1989, p. 232). The appeal of Martyn Lloyd-Jones was to unite around these core doctrines of the gospel, rather than denominational distinctives. As always, he was laboring to avoid two extremes. He wanted to avoid both the shackles of sectarianism, which majored on minor issues (such as church government, mode of baptism, views on prophecy, etc.) and the precipice of ecumenism, which sought unity at the expense of the gospel. Unfortunately, he was misunderstood and criticized, and, in the end, stood almost alone among Evangelical leaders. Evangelicals today are facing the same issues. There is a cultural push not only to accept all Protestants and Catholics (regardless of their beliefs regarding the Person of Christ and the way of salvation) as true Christians, but also to embrace Jews, Muslims, and other non-Christians as brothers and sisters. The exclusivity of the gospel is becoming more and more unpopular, and Evangelicals are faced with the choice of embracing either tolerance or truth. The words of Martyn Lloyd-Jones, therefore, are relevant today. Let us labor for unity, by all means; but let us be sure that we unify around truth: the truth of the gospel. If considering the legacy of Lloyd-Jones has created in readers an interest in delving further into his life and books, then I have succeeded in my aim. Where should you start? I would suggest starting with Lloyd-Jones himself. Multitudes of volumes by the Doctor are now available and more are being published every year. Most of them are expository in nature, being edited transcripts of his sermons. Studies on the Sermon on the Mount is an excellent place to start. Spiritual Depression: It's Causes and It's Cure is a very practical and insightful book that would be beneficial to any believer's life. There are three books that deal with the theme of revival, all of which are excellent. The titles are Revival, Joy Unspeakable, and The Sovereign Spirit. Some of the most important lectures Martyn Lloyd-Jones delivered over the years, including the lecture on Evangelical Unity mentioned above, are collected in Knowing the Times: Addresses Delivered on Various Occasions 1942-1977. Few books will surpass it in relevance and insight regarding the Christian community. For those interested in a brief biography of Lloyd-Jones, Five Evangelical Leaders by the Doctor's own grandson, Christopher Catherwood, would be suitable and enjoyable. But I have never met a person yet who did not relish every page of the massive two volumes by Iain Murray, entitled D. Martyn Lloyd-Jones: The First Forty Years: 1899-1939 and D. Martyn Lloyd-Jones: The Fight of Faith: 1939-1981. No preacher's library is complete without Preaching and Preachers, and I would venture to add both the Ephesians and Romans series. For those interested in hearing recorded sermons by Lloyd-Jones, an impressive collection of his messages is available from The Martyn Lloyd-Jones Recordings Trust. Perhaps one of his most famous sermons is his exposition on the first two words of Ephesians 2:4, “But God.” That sermon and his lecture on “The Responsibility of Evangelism” would make excellent starting points. 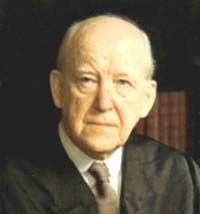 D. Martyn Lloyd-Jones may well have been the greatest preacher of the twentieth century. Standing shoulder to shoulder with the great defenders of the faith of yesteryear - men like Luther, Whitefield, and Spurgeon - he left a legacy that will impact generations to come. Thank you, Lord, for Martyn Lloyd-Jones. Your dad introduced me to Dr. Lloyd-Jones (Studies in the Sermon on the Mount), and he has become my favorite author. What a blessing to the church! Jones' testimony always strikes a bad nerve when he talks about leaving medicine to go into the ministry, as if it was a more noble calling. i first read ''dEPRESSION; ITS CAUSES AND CURE'' BY HIM WHEN I WAS 18 YEARS OLD. NOW AT 65 i enjoy his writings and tapes. was searching for the quote of bethan concerning martyn lloyd-jones and found the site. I love lloyd-jones because he was consistent. His theology tho profound produced what it should have: deep humility in the need to pray and a heart for souls. He stood for the truths he preached & i believe history has proven that his reserves/fears/warnings concerning ecumenicalism were right. He took seriously, reverently the task, the grace of preaching. Thanks for this post. Martyn Lloyd-Jones is a hero of mine, I love his thinking and the way he draws people into understanding the truth and therefore being enabled to choose to live in a way they will wish they had. This is a lovely eulogy and post. The writings of Lloyd-Jones are the best since B. B. Warfield. His sermons on the Sermon on the Mount clear up so much misunderstanding on fundamental things. Other sermons from the 60's have just been printed (2013) for the first time: 'Setting our Affections upon glory.' Truly, some of his best!